Friday morning temperatures will be in the 60s and 70s in South Florida, as afternoon highs will reach the lower 80s. Dew points have increased into the 60s, so it will also be muggier than previous days this week. A sun and scattered clouds mix is expected with most spots staying dry. 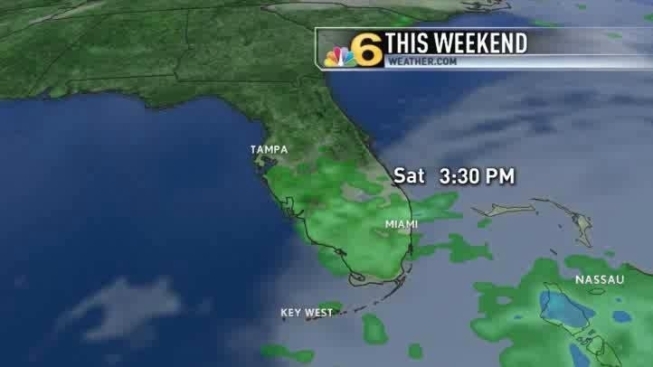 Increasing moisture may produce an isolated shower. Showers chances will increase this weekend, as scattered showers and thunderstorms are possible both Saturday and Sunday. There will be dry and mostly cloudy periods too. Highs will be in the mid 80s both days and winds will increase late Sunday to over 20 mph and stay breezy early next week.